Language of Dance® (LOD), created by world renowned movement specialist Dr. Ann Hutchinson Guest, is a teaching approach that enhances the movement and dance experience. 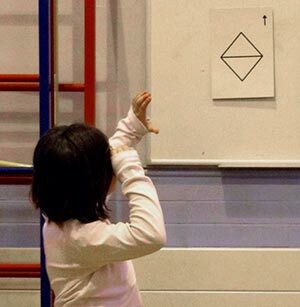 Progression develops from use of the basic components of the movement building blocks to create simple phrases and eventually to the creation of complex combinations of movement. The experience of dance-making is not confined to a specific style or genre. In the LOD approach, the main components, the Movement Alphabet , are represented by basic Motif Notation symbols together with the corresponding movement/dance terminology. LOD workshops involve the exploration, creation and observation of movement and provide the opportunity to record dance using symbols. Choreography and dance-making tasks encourage self-expression and develop problem-solving skills. Through performance, participants develop physical coordination and self-confidence. Skills in perception, appreciation, interpretation, evaluation and communication are developed through observation and use of the movement vocabulary. LOD encourages an intellectual understanding of dance, thus providing a language for discussion and evaluation as well as giving a sound construct for the dance-making process.